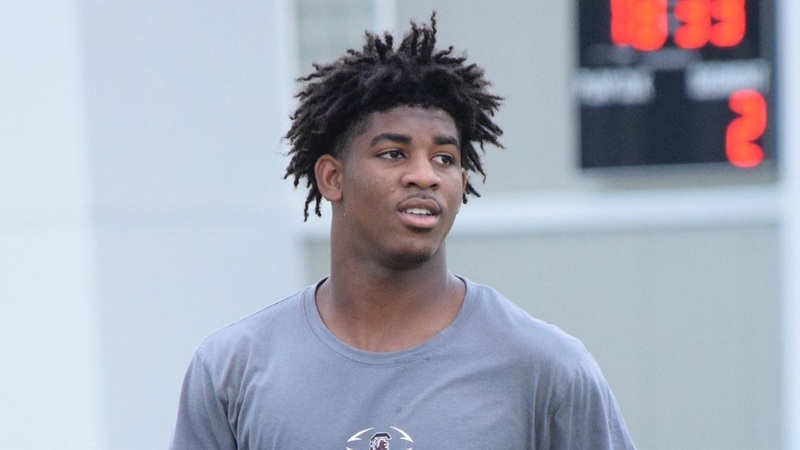 2020 Deerfield Beach (Fla.) receiver Bryce Gowdy‍ had been patiently waiting on an offer from Notre Dame for almost a year and the offer finally came last week. Gowdy stated Notre Dame graduate assistant Brandon Lemon stopped by his school last week and felt good news was on the way. Notre Dame’s academics were a primary reason why Gowdy wanted the offer as he wants to make sure life after football is taken care of once his career is over. On film, Gowdy makes big play after big play, so it’s not a surprise to see Notre Dame offer along with programs like Arkansas, Auburn, Florida, Florida State, NC State, Nebraska, Penn State, Purdue, South Carolina and Western Kentucky. Gowdy will take a visit to Tallahassee in the coming weeks and is in the process of planning out the rest of his schedule, which will consist of schools in the Midwest. When it comes to official visits, the Deerfield Beach star is weighing the positives and negatives of spring official visits as he knows a lot can change in six months. Gowdy feels his best relationships are at Arkansas, Florida State and Penn State at the moment, so Notre Dame will need to catch up in the coming months. The new coaching staffs at Arkansas and Florida State have been positives for Gowdy and he’s looking forward to getting to know them better as well. Notre Dame might not be considered an up and coming program, but they did have his attention during the fall.